A levelling screed is used to leave a flat, level surface with enough strength to resist indentations and so on. It is normally used as a strong layer of flooring on which other flooring products can be laid, like tiles or carpet. Low depth floor screed solutions are also becoming popular as underfloor heating grows in popularity too as both work well together. Underfloor heating needs a thermal mass – screed – in order to radiate its heat effectively throughout a space. It provides a flat, level and smooth surface over which other flooring solutions can be laid. Anything from carpet to carpet tiles, linoleum, vinyl flooring, wooden block floors and tiles can all be securely adhered to the screed layer beneath. 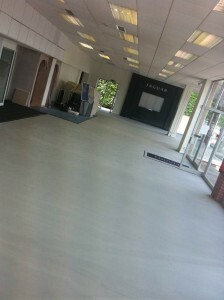 Can Thin Floor Screed Be Used as The Final Flooring Surface? A screed floor of this kind is not intended to act as what is known as a ‘wearing surface’. In other words, it is a base layer that although strong, will need protecting with a top layer of flooring. It is, at its simplest, a base layer that gives a flat, level surface on which to lay carpet, tiles etc. Not all concrete has the same quantities of ingredients. 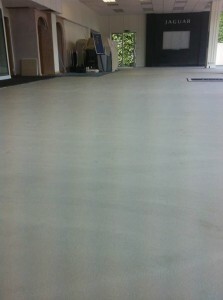 In thin screed flooring, the mix of components is such that it is not strong enough to act as a top layer of flooring. But, it does have the acoustic and thermal insulation properties needed to support a top layer of flooring. 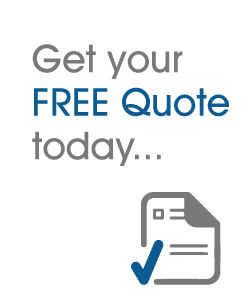 Midland Flooring has an enviable reputation that is not easily or readily matched by another company. In other words, you get the best product at the right price, every time!